Looking after a pet Hamster is a fascinating pastime and hobby for anyone who loves animals. These delightful little fellows really do make great pets for anyone young or old and giving them a happy life should be your goal. So you've bought them there own 5 star apartment to live in, with fascinating nooks and crannies for them to explore. A comfy bedding area and all the materials they need to build themselves little dens and hideouts. Yes, it's true, for a small creature they sure do get about, so giving your Hamster plenty of exercise is essential to keeping them healthy. What are the best Hamster toys to get them running around.. Designer transport for the more executive Hamster. Is this the ultimate exerciser toy for your Hamster..? 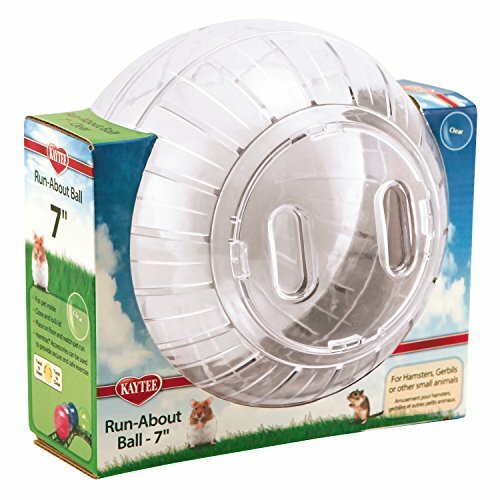 The 7" Run-About-Ball is the ideal size for most Hamsters and will give him plenty of exercise. At first you will find they are quite hesitant and a bit uneasy, but soon work out what to do. When they first get going you need to watch them a bit as they will definitely crash into things.! So be aware and just give a little help and re-direction when needed. It doesn't take them long to learn to "drive' and, believe it or not, "brake" ! Once they get going and gain confidence your Hamster will have a great time whizzing around. My final choice for a great Hamster exerciser is this Pet Dragster. The good thing about this super little car is that your Hamster has very good vision and can see out quite clearly. As well as that, you can see him as well. He will definitely get a good workout with one of these and they are fast..! So be prepared to chase him around. 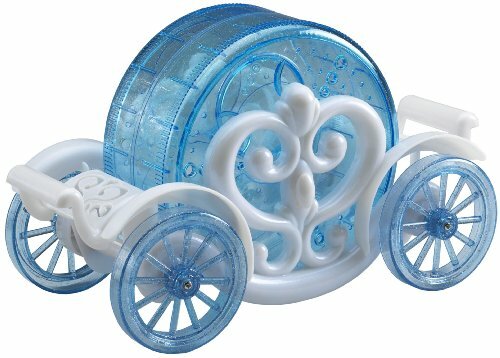 Just like the exercise carriage, this toy only goes in straight lines so he will need to helped when turning corners, but, if you have a nice long lounge, he will be off and going faster than you in no time. It's quite amusing watching the dragster go in reverse when he turns around in the wheel. Main advantages of Hamster Exercise Toys. These type of Hamster exercise toys are excellent for giving your pet a good little workout and you can tell just by looking at them, that they enjoy it too. I find they are ideal if you have their cage in one room and the family are in another room. It give them exercise and they are able to interact with you as well. When they have had enough, they'll stop. But remember, it's exercise for them, so ensure they have their fresh water and food ready when you put them back in their cage. 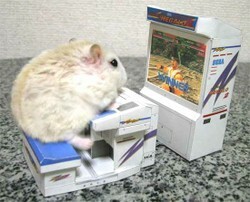 This almost makes me want to go buy a hamster and all the toys it needs. 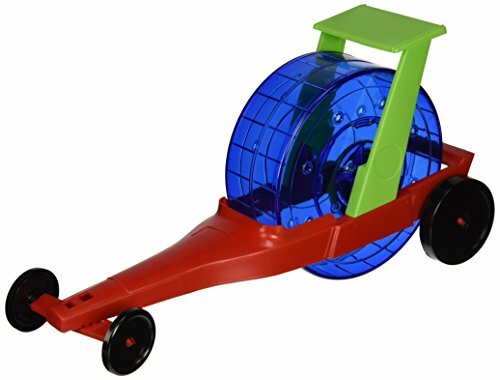 I had seen hamster balls before (used to have one for our gerbils), but have never seen anything like the hamster carriage or dragster before. They both look like great fun to watch, and good exercise for hamsters (and gerbils...).